Complex Business Problems - Solved! You have been here before--performance needs to be improved, a new function needs to be launched, a new strategy needs to be implemented, a complex business problem needs more than a cookie cutter solution. May we suggest a holistic Performance Engineering approach? 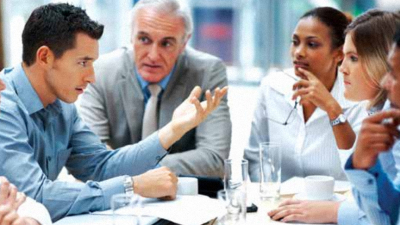 For your business problems, you likely have trainers addressing people issues, six sigma black belts working on process issues, and organizational development people solving organization design and strategy issues. What happens when the solutions falls somewhere in between people, process, and organization? 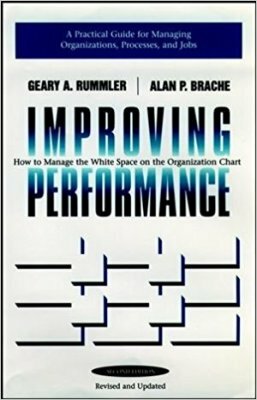 Performance Engineering looks at all of these holistically in order to address the cross-over gaps, or as Geary Rumller calls it, the "white space" of your organization. We can help. Geary Rummler outlines performance questions to ask at each of the three levels of performance. An educational event creates a non-threatening environment where barriers and opportunities are exposed during classroom discussion. Click below for a list of workshops. An offsite can help you and our team reset and give you the insight you need to know what steps to take next. 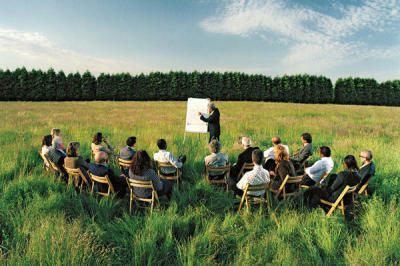 We have a lot of experience with effective offsites. Click below to see.